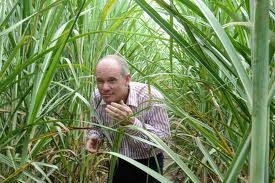 Australian Cane Farmers Association has once again welcomed the Queensland Government’s budget commitment of $4.6 million with a renewed focus on agriculture and RD&EJohn McVeigh, Queensland Minister for Agriculture and Campbell Newman addressed a group of industry leaders including ACFA chairman, Don Murday, at BSES in Mackay last month. Don Murday has said it is reassuring to know that the Newman Government is keen to support research across the agriculture sector. “We welcome the additional funding for R&D as it provides certainty for what the industry will receive from the Queensland Government.